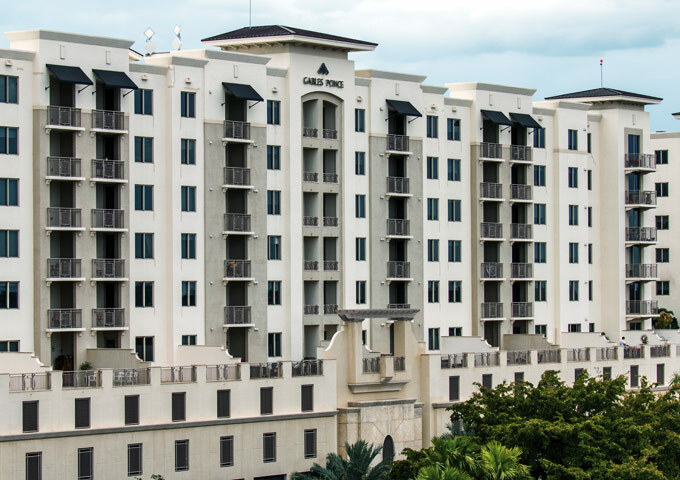 The Gables at Ponce is a high-end residential community located in Coral Gables, Florida. Comprised of three phases, the community offers over 550 residential units as well as restaurants and retail space. The original access control solution was problematic as there were multiple systems that were unable to communicate on one platform. The client determined they needed one central, unified database to manage the access doors, the telephone entry system and the vehicle garage access. The client chose a complete Mircom solution as the replacement for all three phases of the development and didn’t regret their decision.